This sterling silver bracelet features a double row with oval and circular outlines. Miniature diamonds are lined in each individual outline and are brought together with an easy to do up clasp. 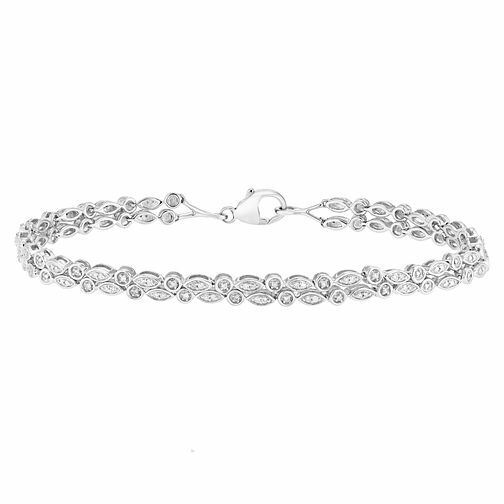 Sterling silver bracelet with miniature diamond stones.